Back again with the winner of my 500 follower giveaway! Congrats to Jessi! Thanks to everyone who entered! Hope you all enjoy the rest of your night! NOTD: Zoya Logan & Bonus OPI DS Extravagance! 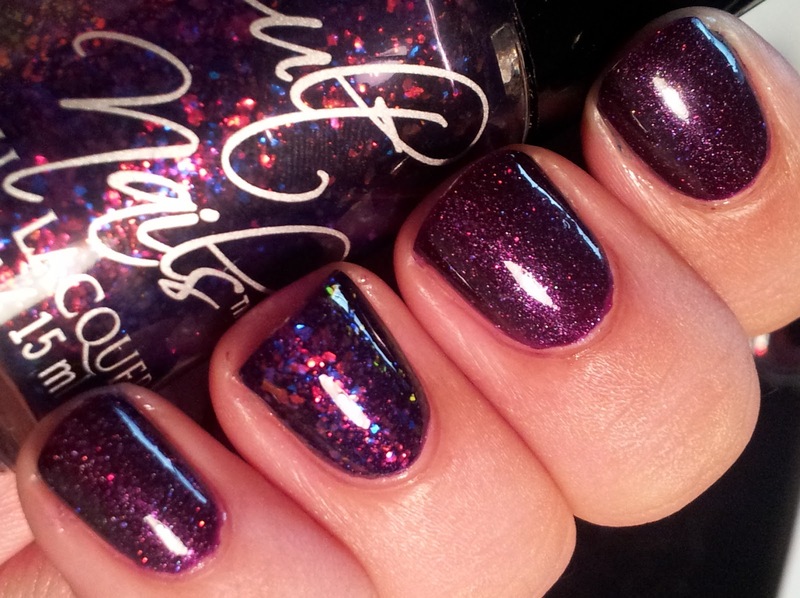 And a couple bonus shots of OPI DS Extravagance! There you have it! I am in the process of choosing the winner of my 500 follower giveaway so I should have that posted tonight as well! The Nail Polish Guru 500 Follower Giveaway! The moment you have all been waiting for! Okay maybe just a few of you. Lol. My 500 follower giveaway is finally here! Here is what you can win! I am super excited to give these away, I bought them this spring with the intention of using them for a giveaway so I am happy to finally get them to their new home! WAY Overdue 400 Follower Winner!! So some of you may have noticed I never picked a winner for my 400 follower giveaway. Better late than never though, right? Without further ado, let's see who will be the proud new owner of Catrice Dirty Berry! I will be posting my 500 follower giveaway very soon, so stay tuned! What's that? A Haul Post?! I have been pretty out of the nail polish loop which is why you haven't seen any haul posts in a LONG time. But I'm getting back into things again and couldn't wait to make some purchases and do some swaps for some new pretties! Here is the first part of what I have added to my collection. Group shot of my Ninja Polish order. Finally just a small purchase from Llarowe. Naild' It Vegas Sands. I also squashed one other huge lemming this month but forgot to photograph it. I was able to snag a bottle of OPI Black Spotted thanks to a great nail polish friend! I love all the new indie brands that are available now! I was burnt out on polish for a while and having all these new options just brings the passion back again! I would love to hear about some of your favorite indie sellers! I was looking through old swatches and was shocked to find I never posted this one for you! This was my first and only Kiko polish, and I instantly fell in love! The scattered holo, the purple. . .it's just amazing! 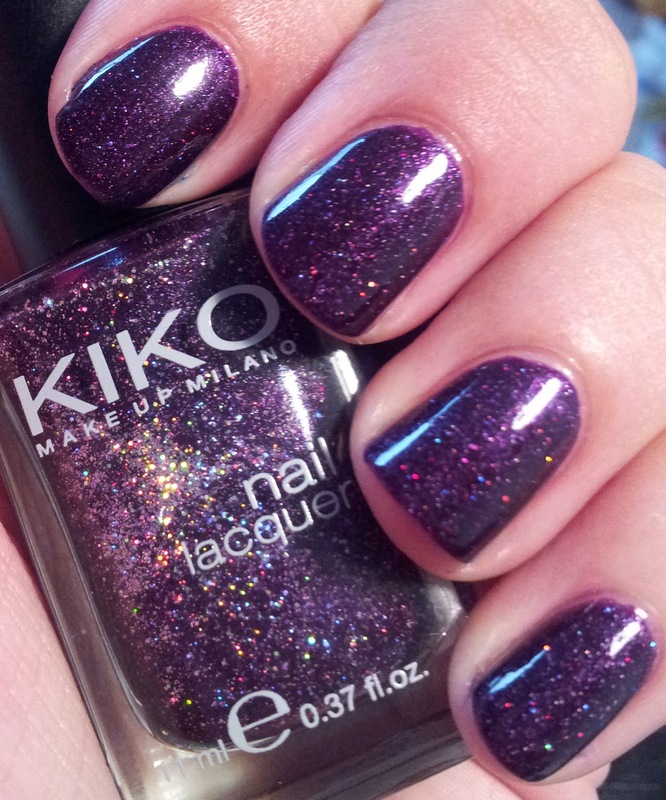 Check it out, Kiko #255 (Violet Microglitter)! 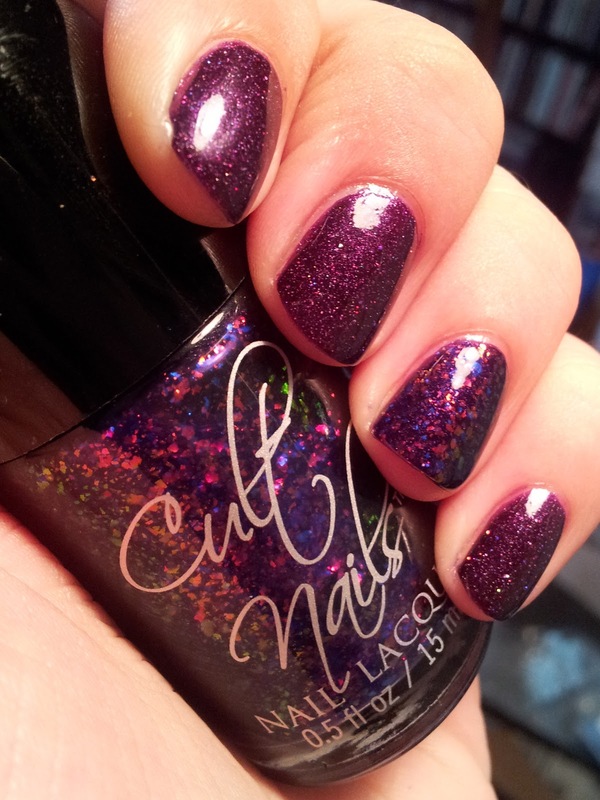 I decided to jazz it up a bit and add an accent nail of Cult Nail's Seduction! 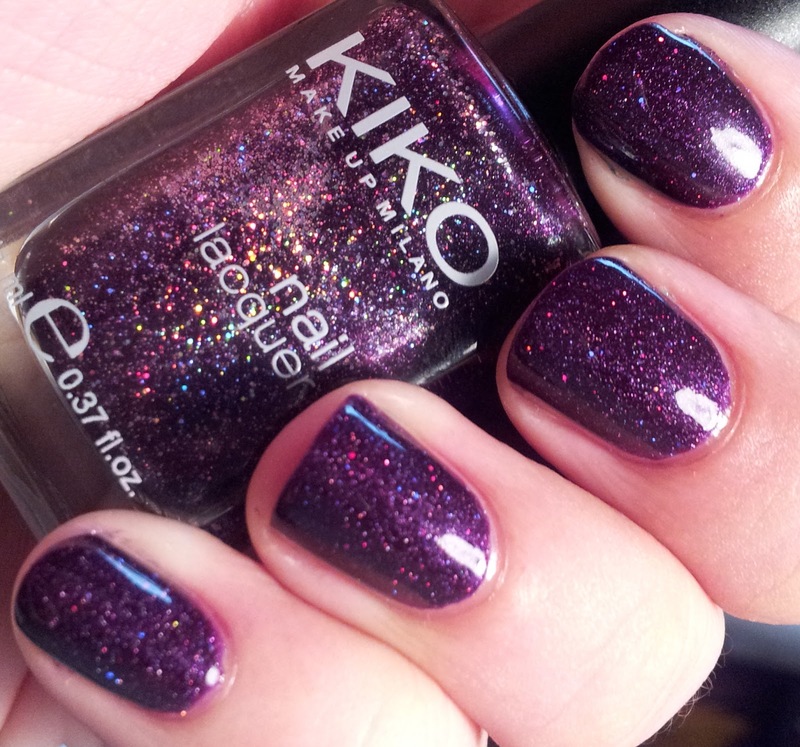 I love this flakie so much and it was perfect with the Kiko! If you are looking for some new polishes to add to your collection I still have plenty left in my blog sale, including a NEW bottle of Seduction for only $10! I hope you are all enjoying your weekend! I have FINALLY purged some polish and it is up for grabs on my blog sale! There are new items added and also lowered prices on some others. Check it out here! I know it has been a long stretch of absence once again, but I am back! Hope you all had a wonderful holiday season and are enjoying 2013 so far! Just a quick, photo heavy post for you today! I think I will do better at posting more often if I really just stick to the photos. . .that's truly the best part anyways! Largo was a very limited Nerd Lacquer that was created and sent out to some customers due to a delay in shipment. I am happy to have received it even if it meant my Nerd order was very "slow" in arriving! Anyways, here is some spam! I hope you love it as much as I do! 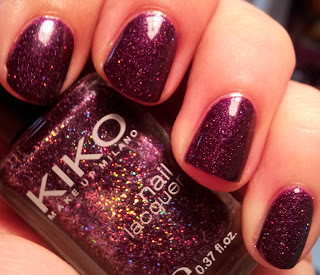 This is one polish I will wear over and over! I especially love the square glitter! There you have it! I have a couple more posts lined up so I will be back soon! Hope you all have a nice and relaxed Sunday!